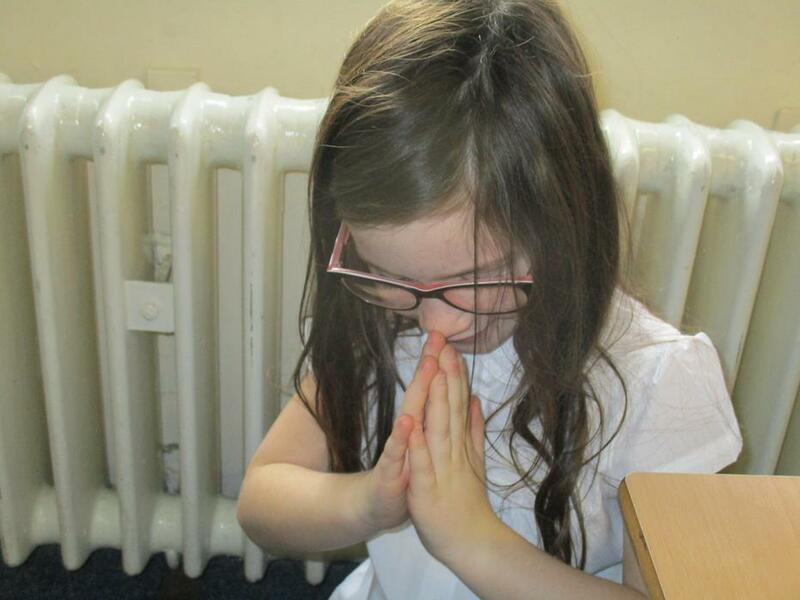 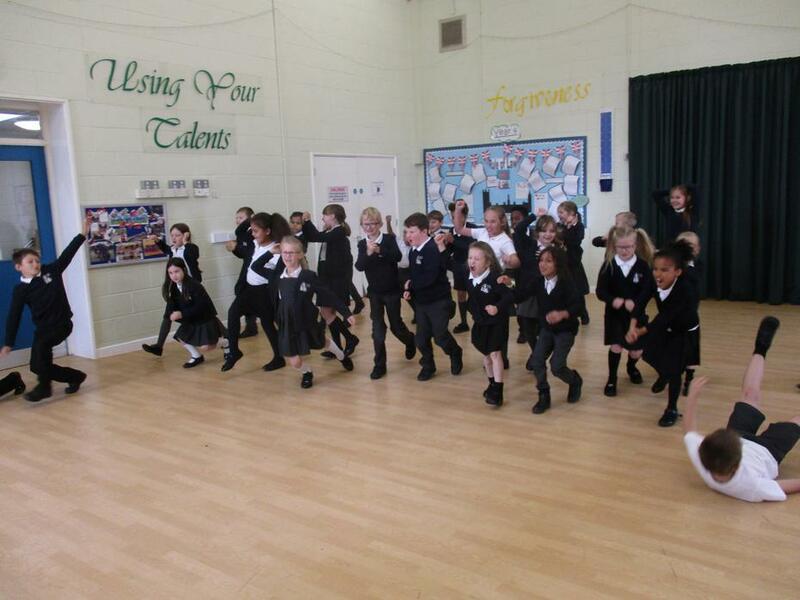 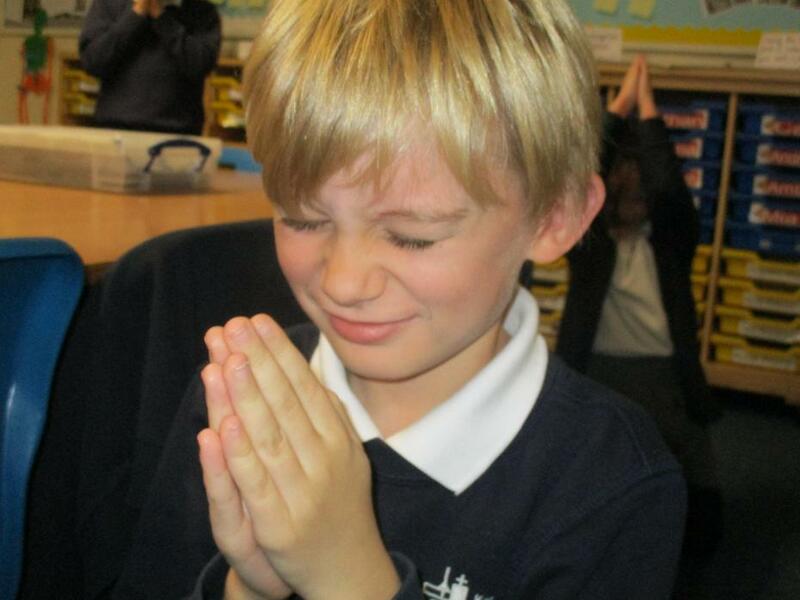 Welcome to Year 3 St Pauls Class! 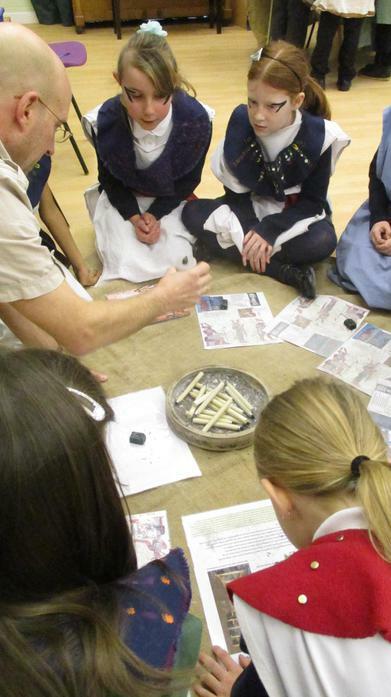 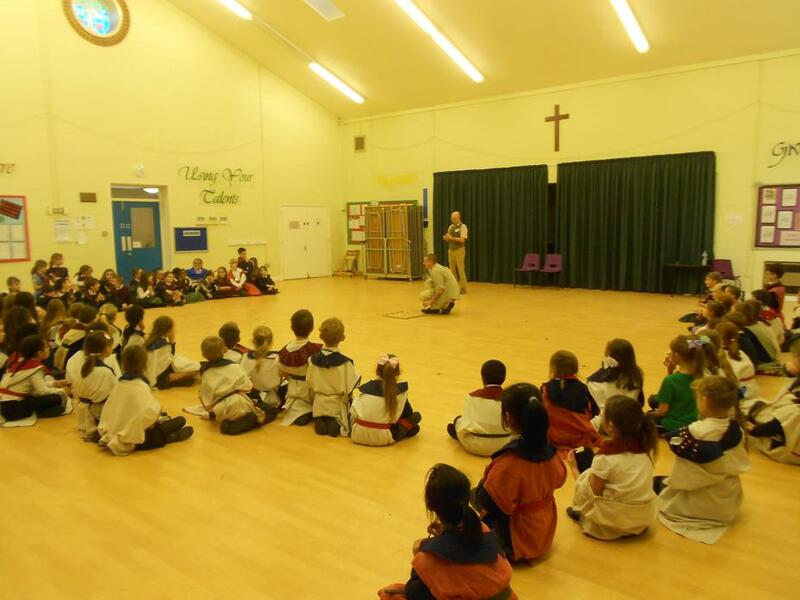 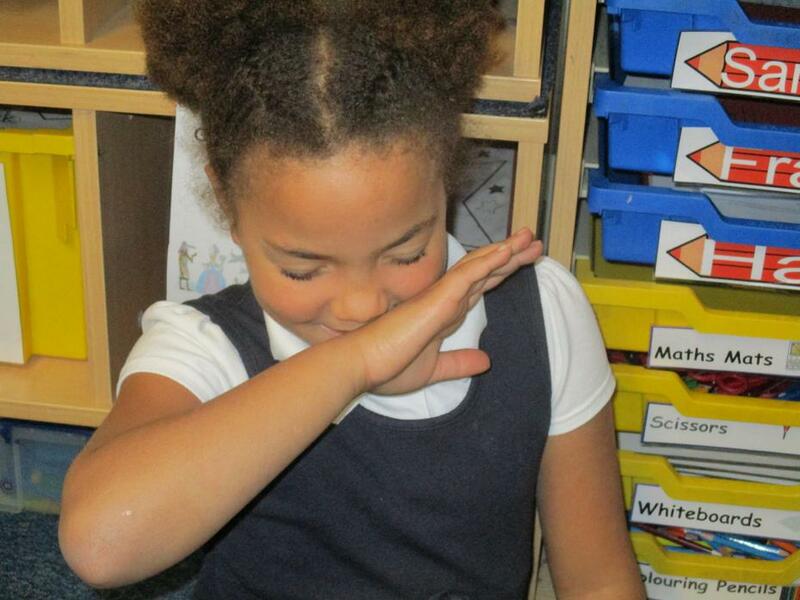 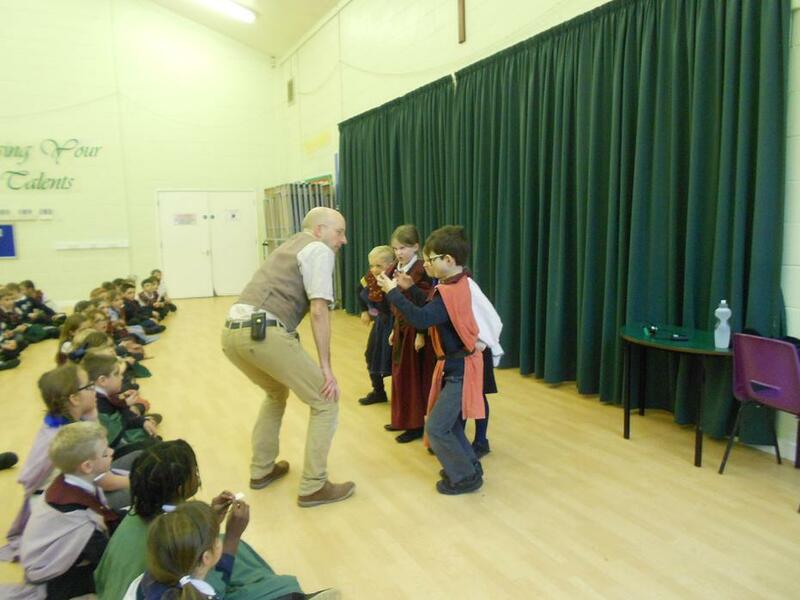 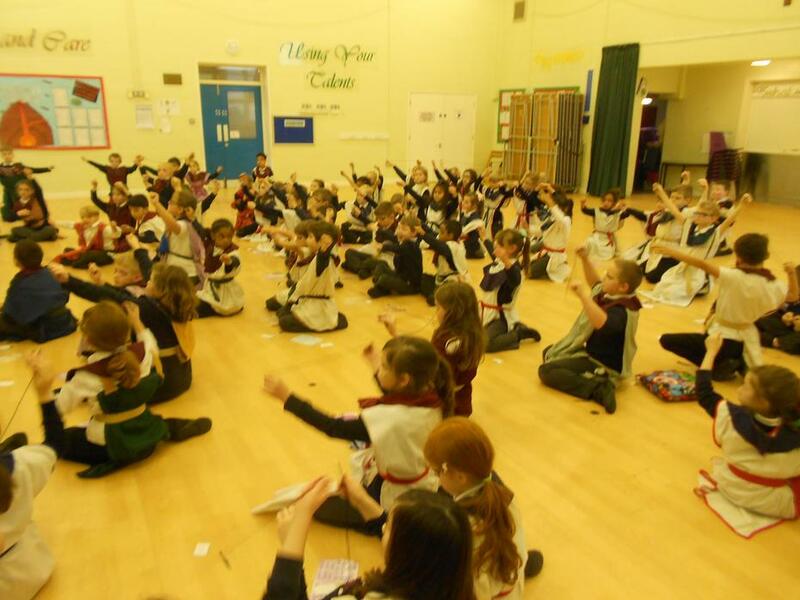 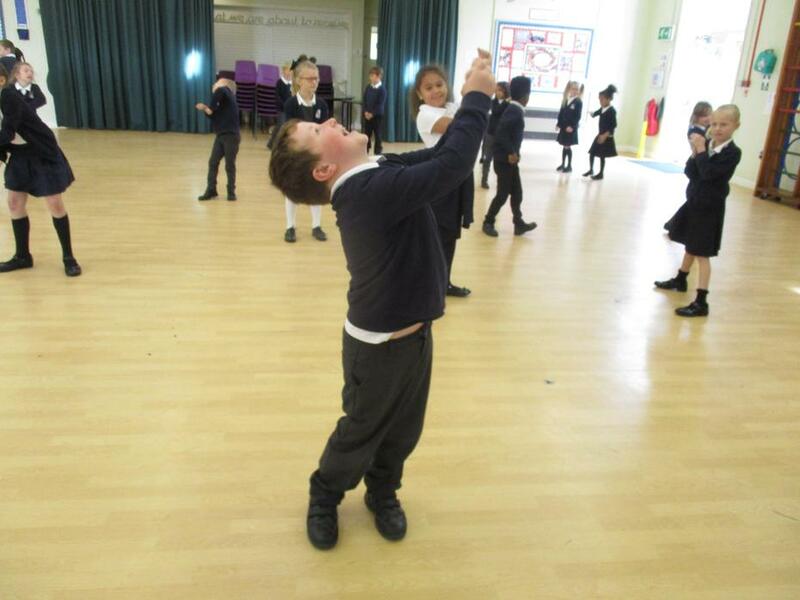 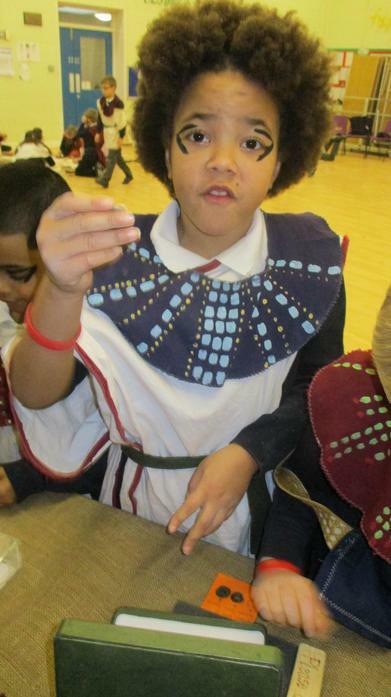 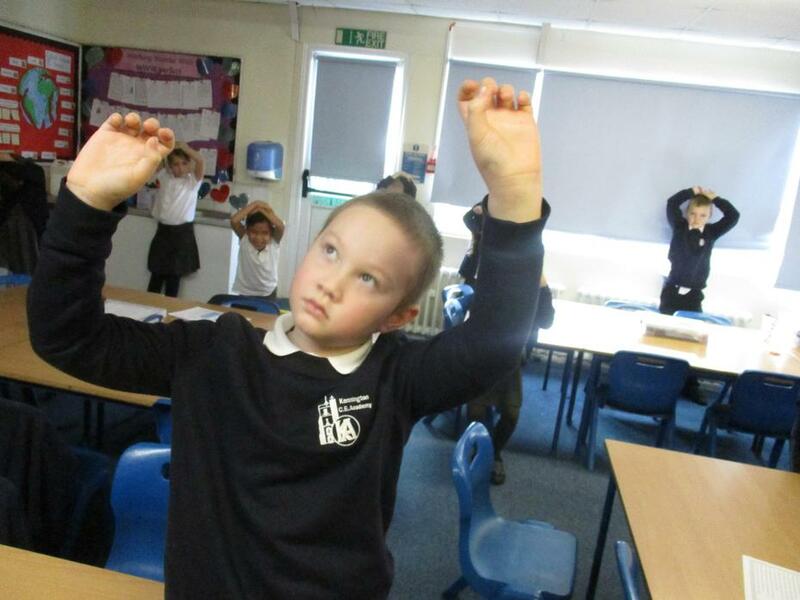 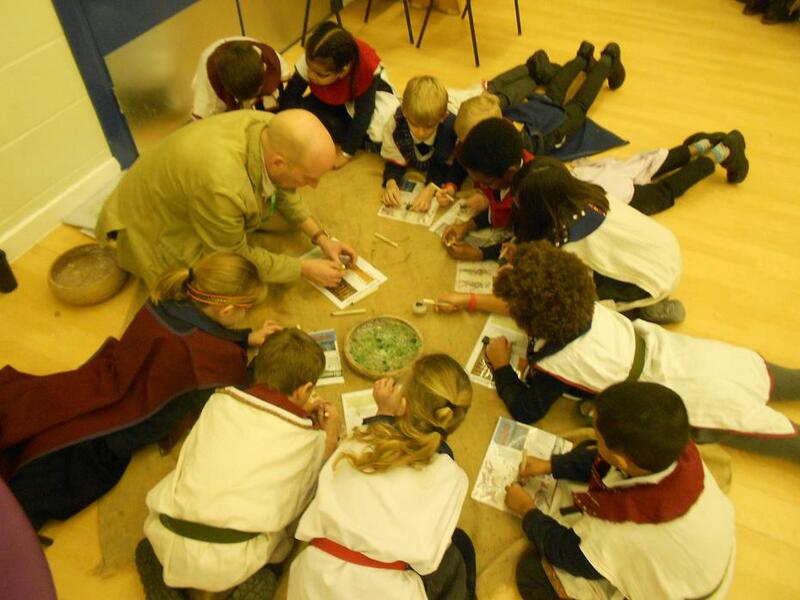 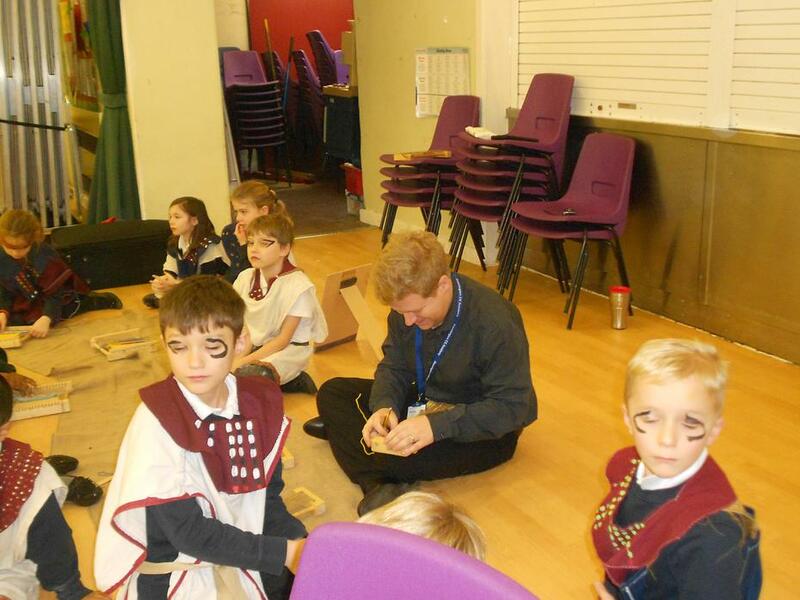 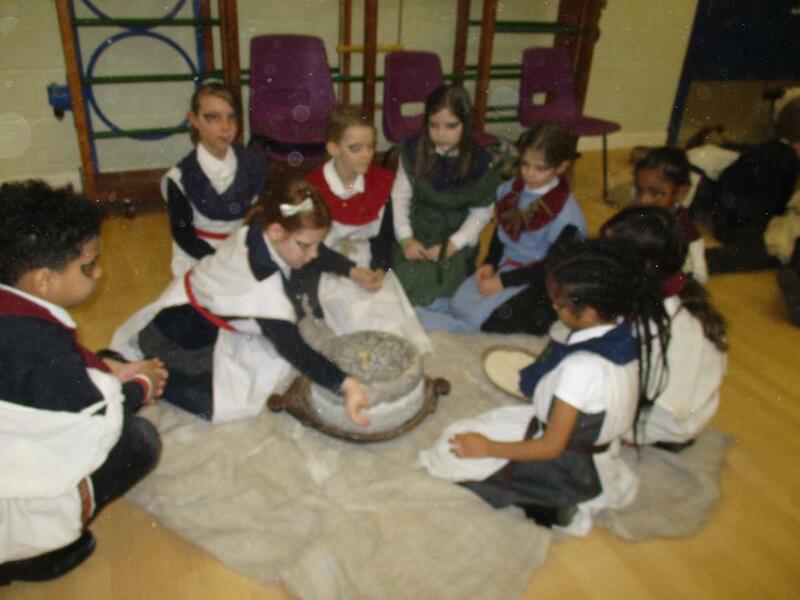 We had an amazing Ancient Egypt workshop. 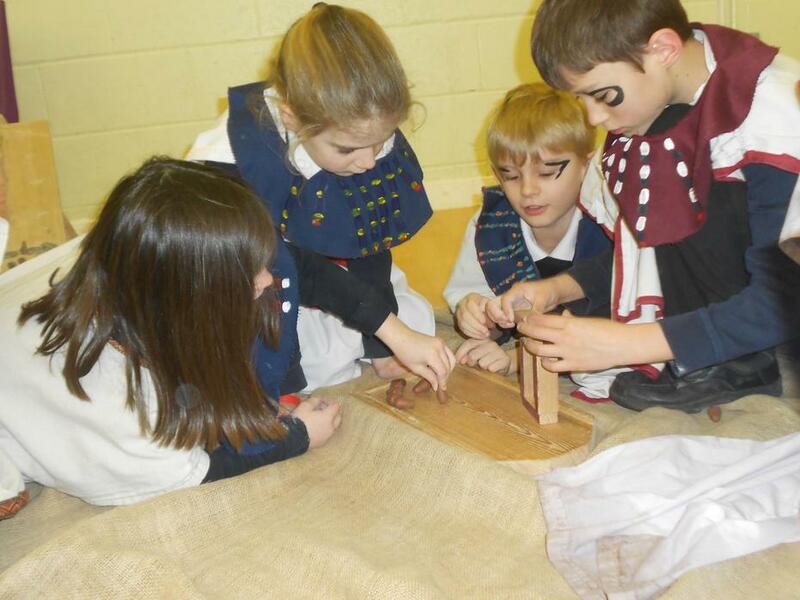 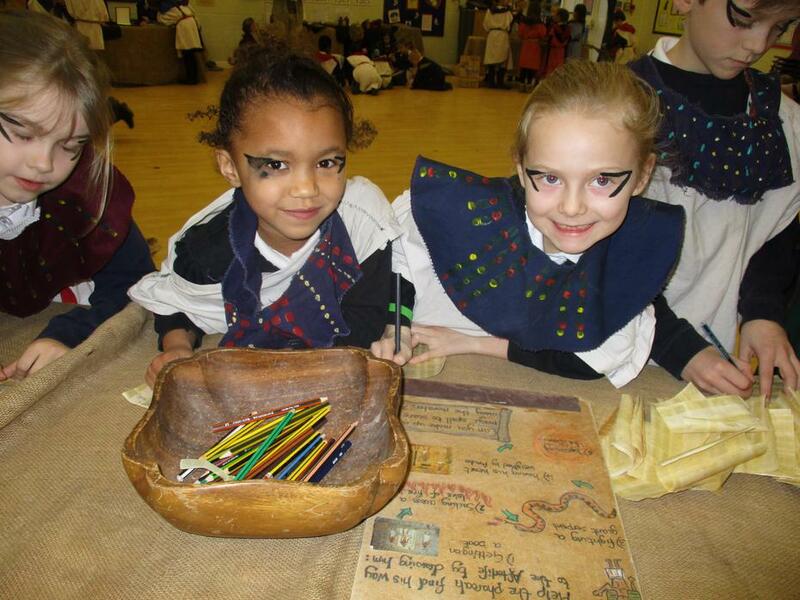 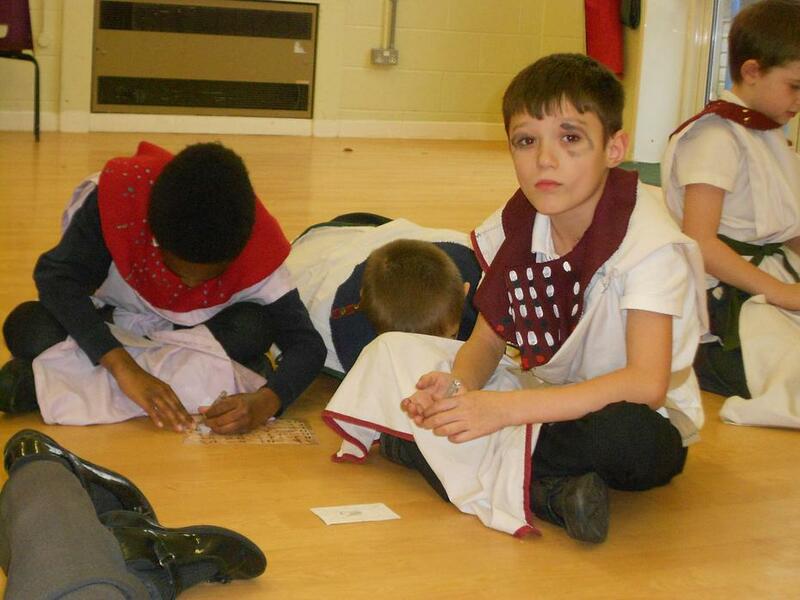 After dressing up and adding black eye make-up we completed many activities like those the ancient Egyptians would have done. 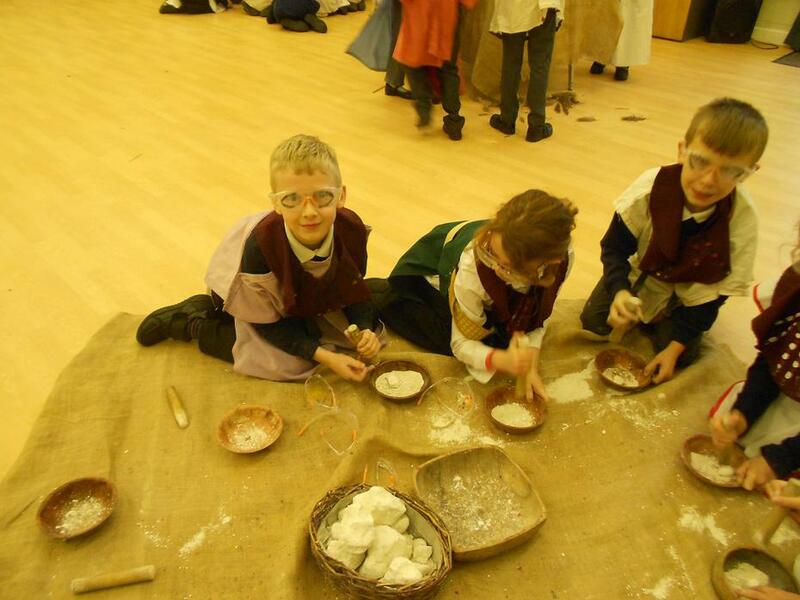 We ground chalk into a fine powder that could be used to make paint and decorate the papyrus paper or stone walls. 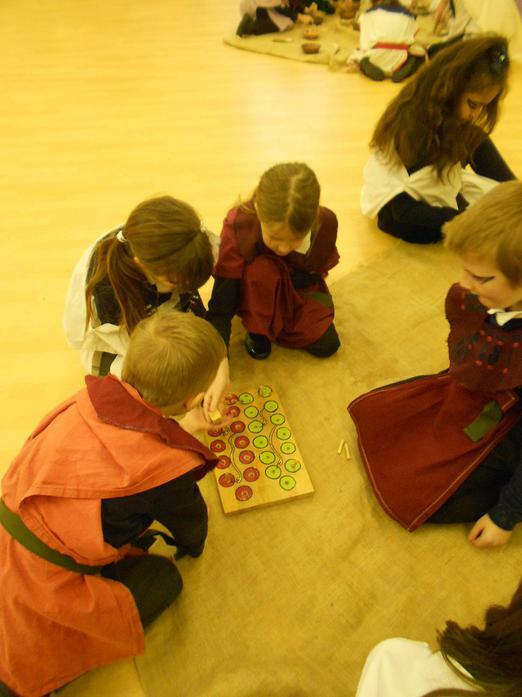 As no instructions have ever been found we tried to work out how some games would have been played and then tried playing them with each other using our rules. 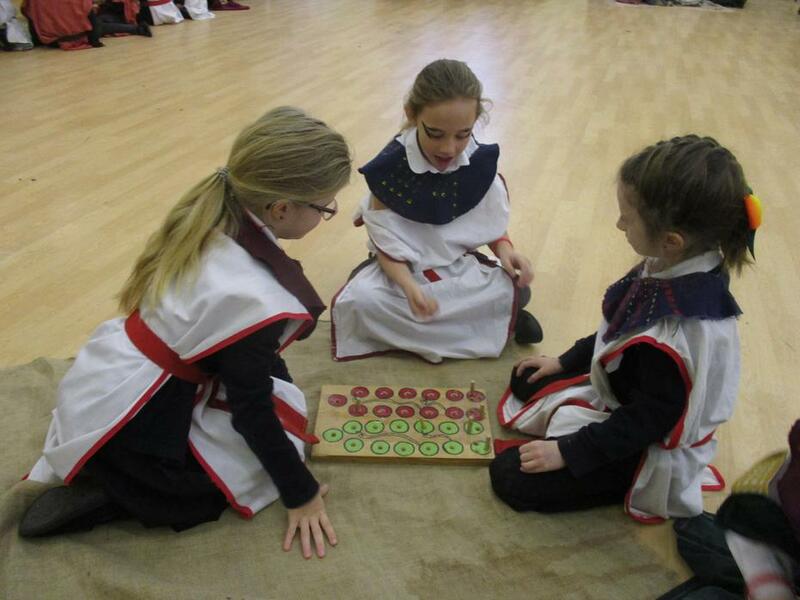 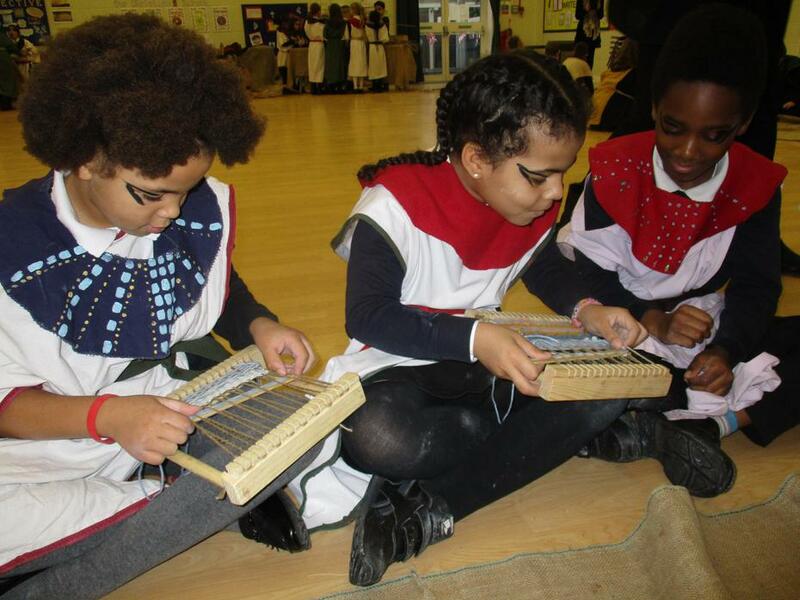 We wonder if we got them right and played them just like people during the ancient Egyptian times. 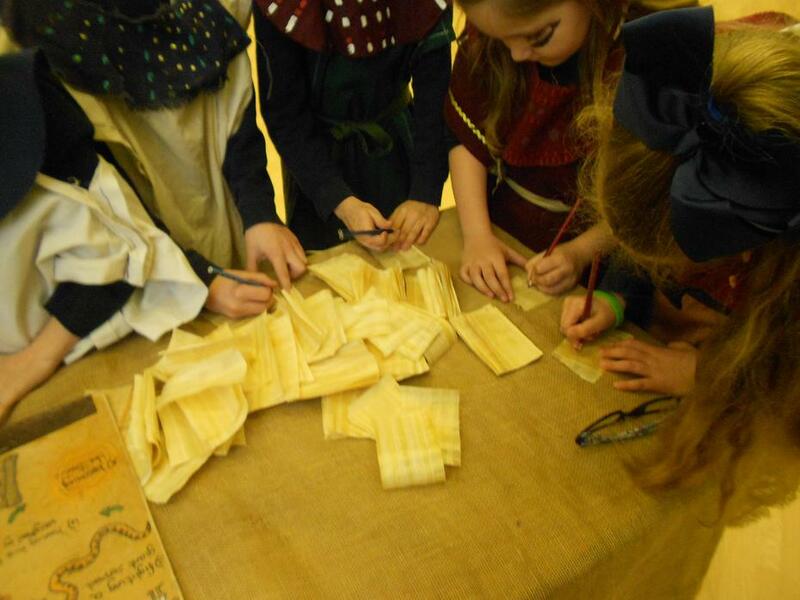 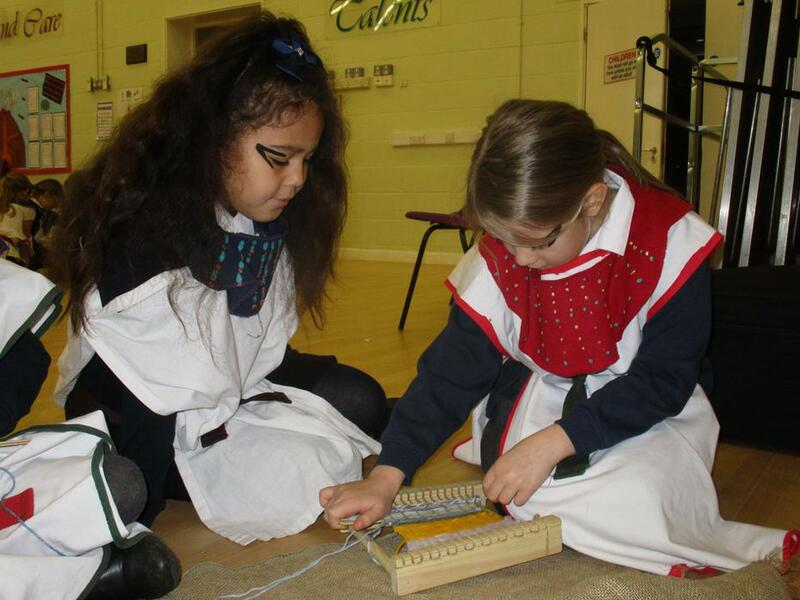 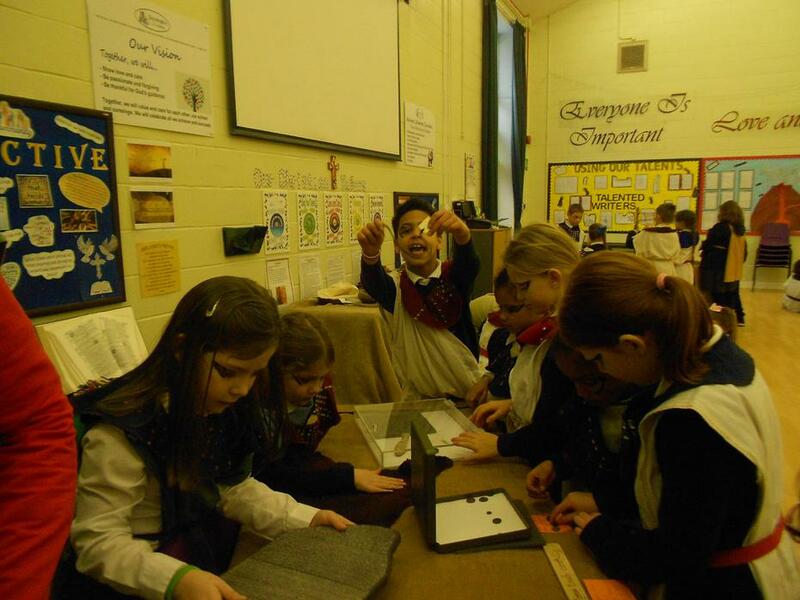 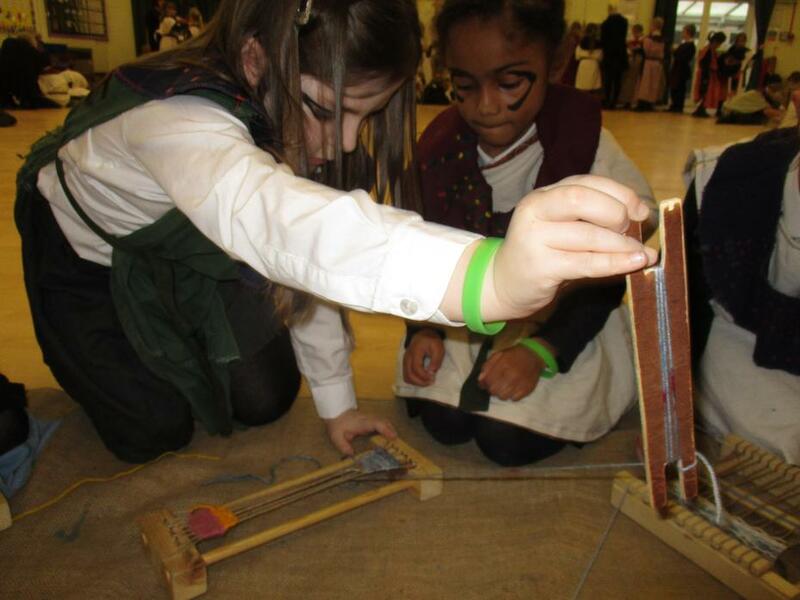 Another skills was to weave wool through a loom to be able to create cloth, this was how they made the fabric for their cloths, we needed help to try and make sure it stayed together and didn't make any holes. 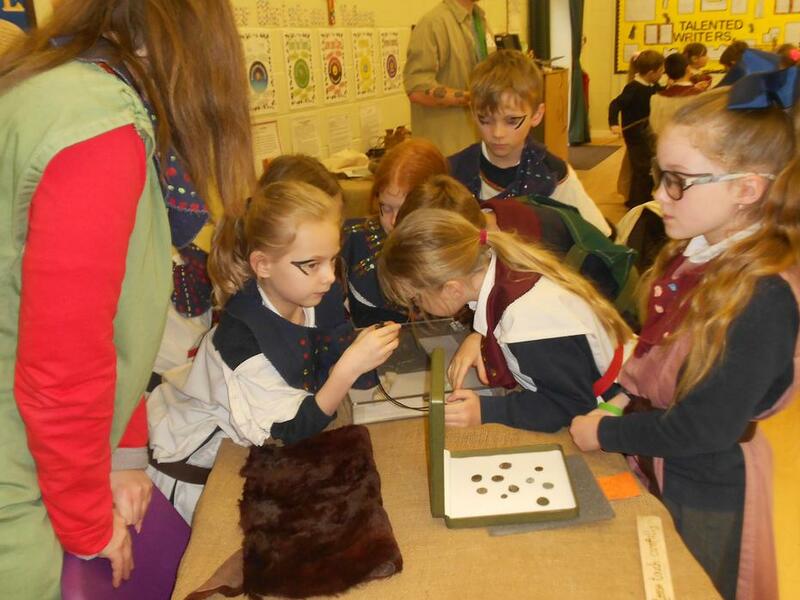 Imagine if we had made clothes but they had holes in them! 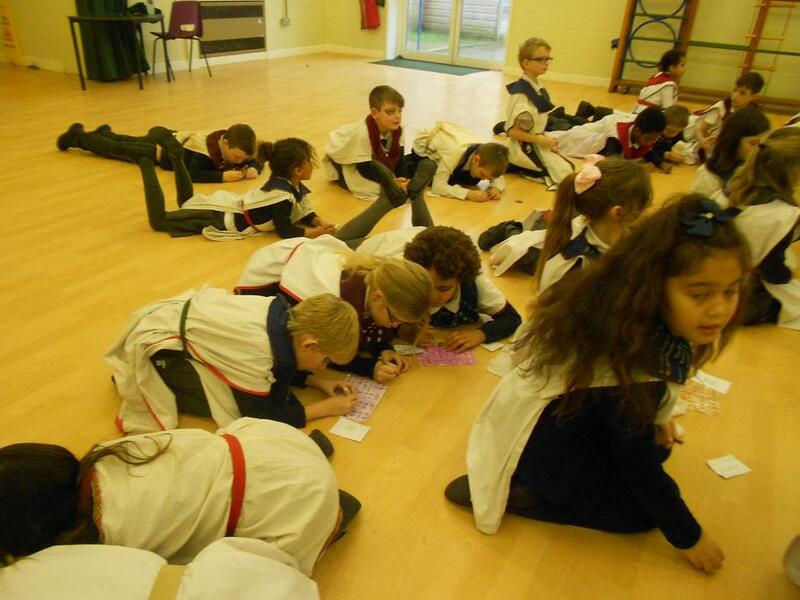 Using papyrus paper, just like the paper used in that time period, we wrote and drew spells that could go in our year group book of the dead. 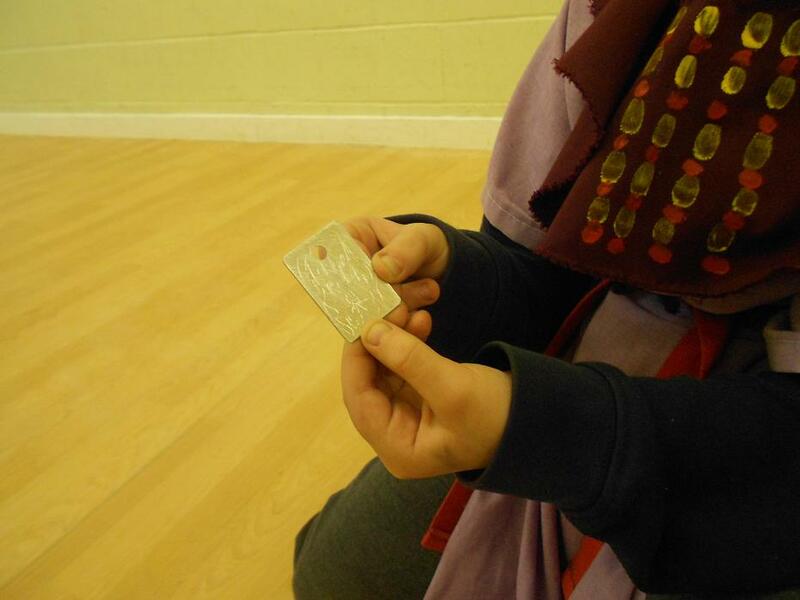 One of the hardest skills was trying to carve a small turtle amulet. 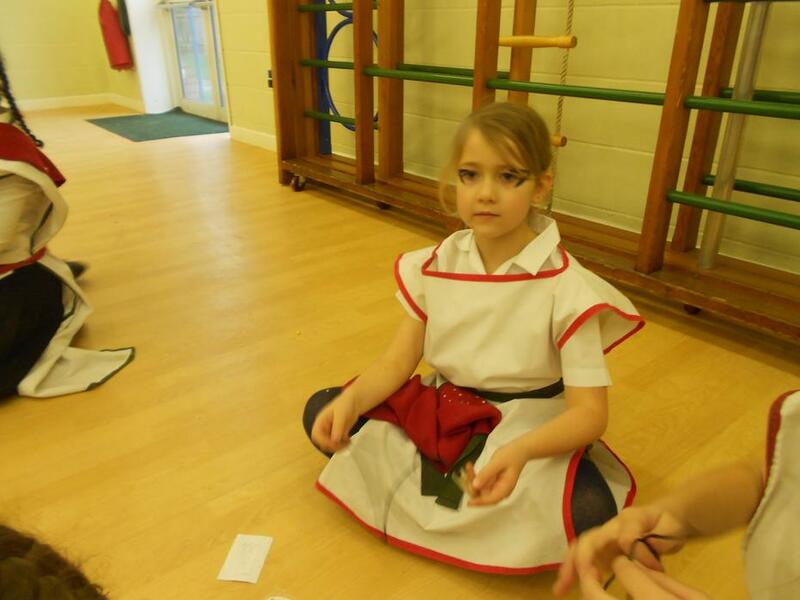 This was placed inside the bandages when a person was mummified. 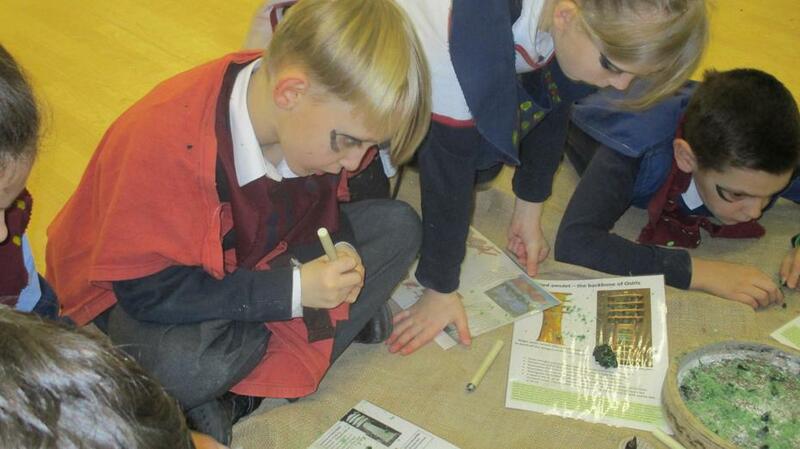 We were using hard wax not stone but it was still very difficult to carve and make the correct shapes. 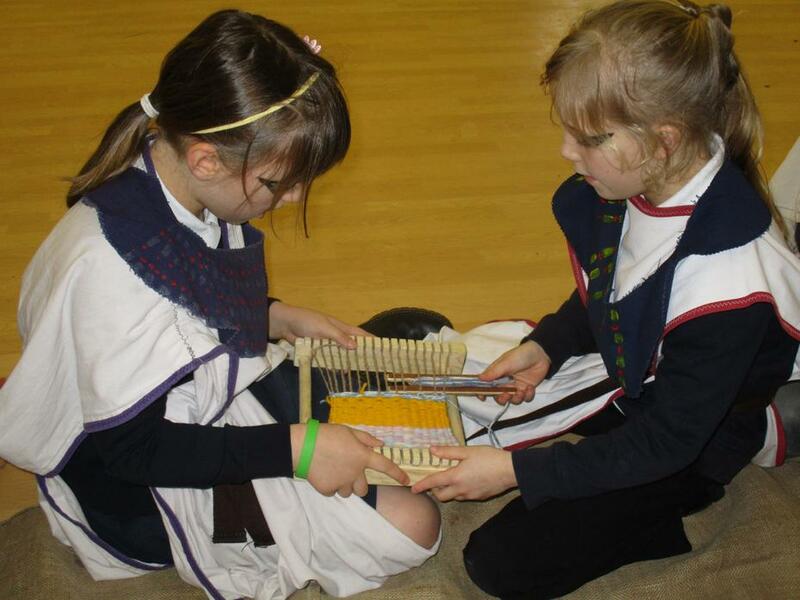 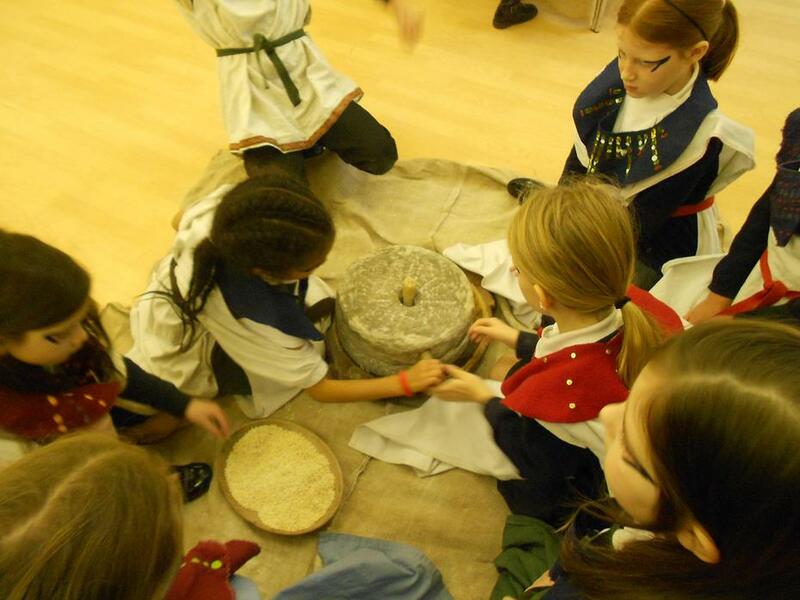 We examined actual artefacts that have survived over 4000- years we shared ideas about what they were made of and what they might have been used for. 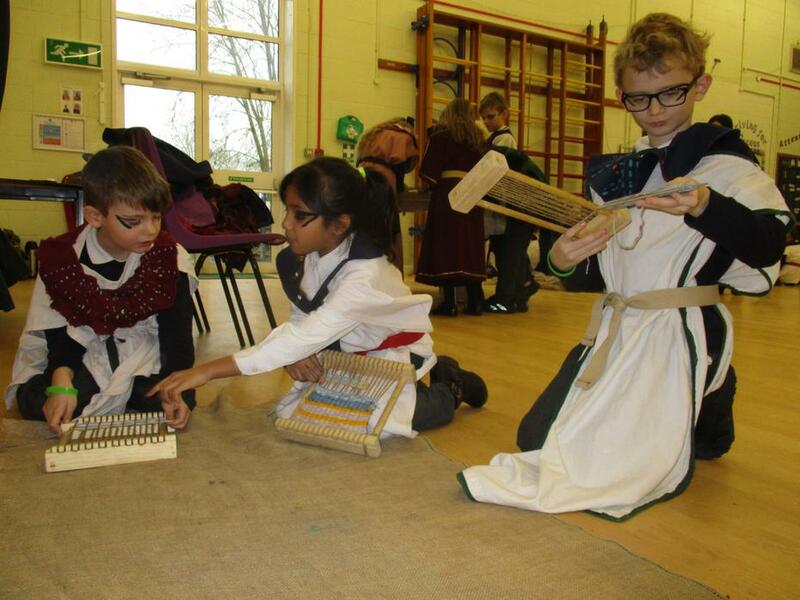 We also had to work out which were the fake artefacts and the reasons why they were modern replicas, which we were very good at finding and explaining. 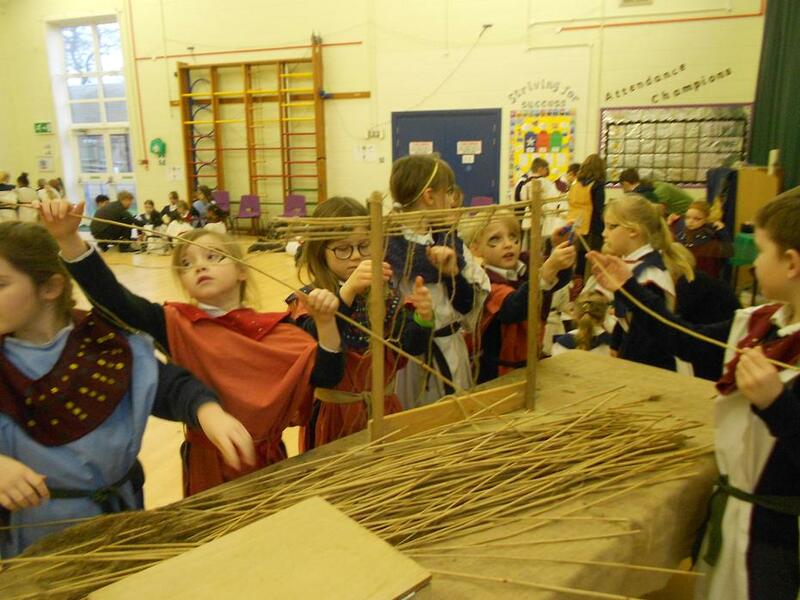 Another skill was to weave reeds to make a small reed blind or mat. 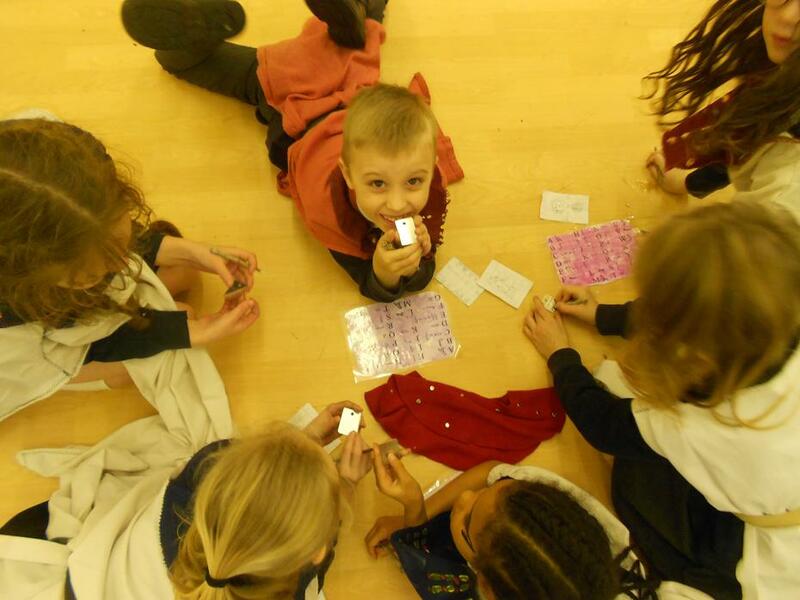 We all made our own amulets, to give us luck, using a nail we engraved a piece of metal with hieroglyphics of our name and patterns. 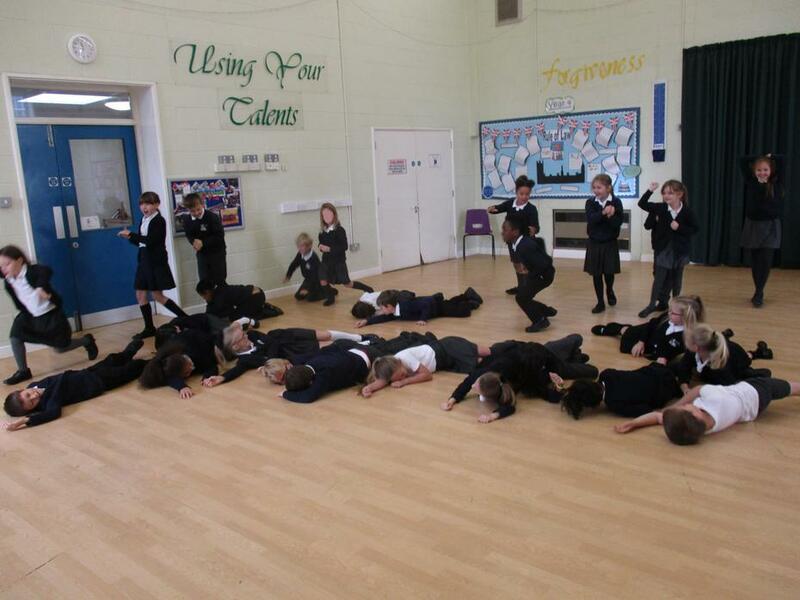 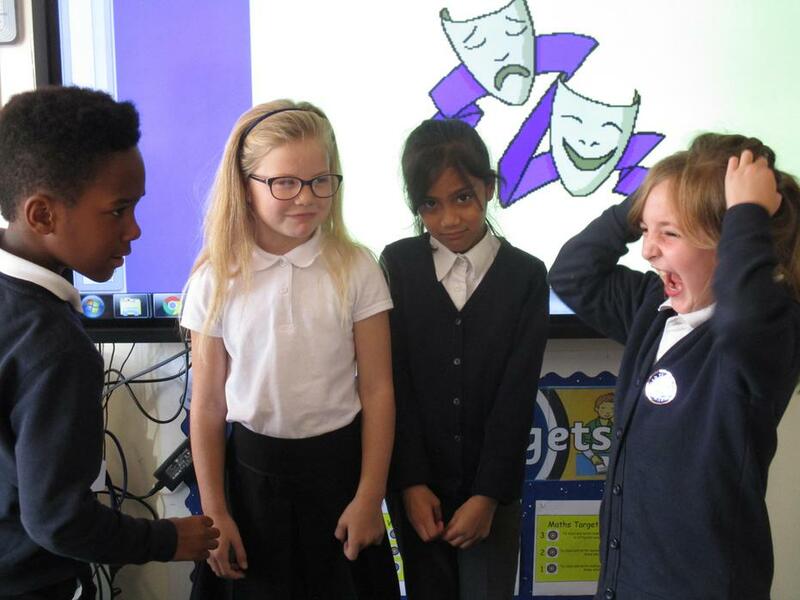 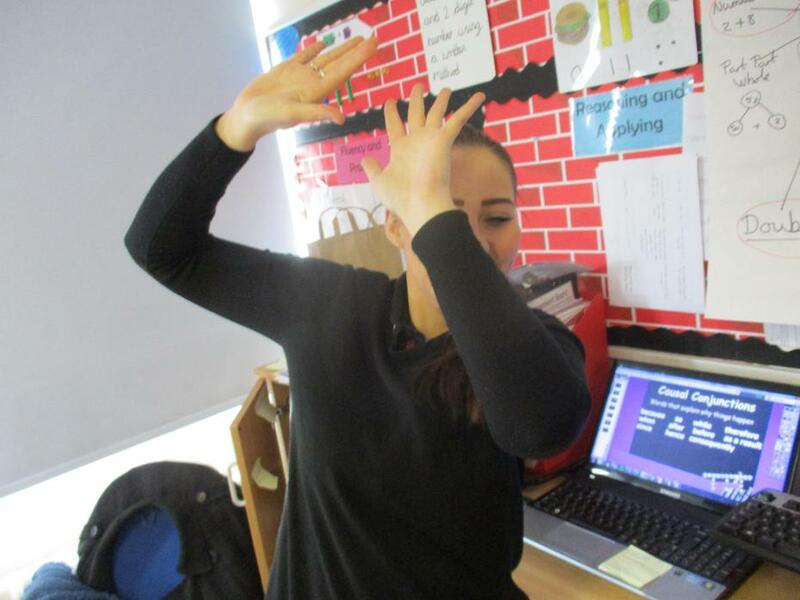 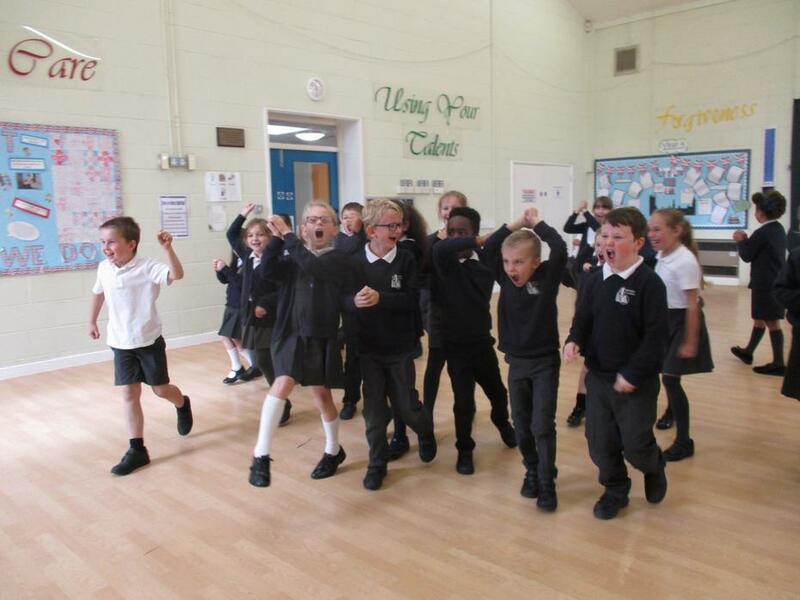 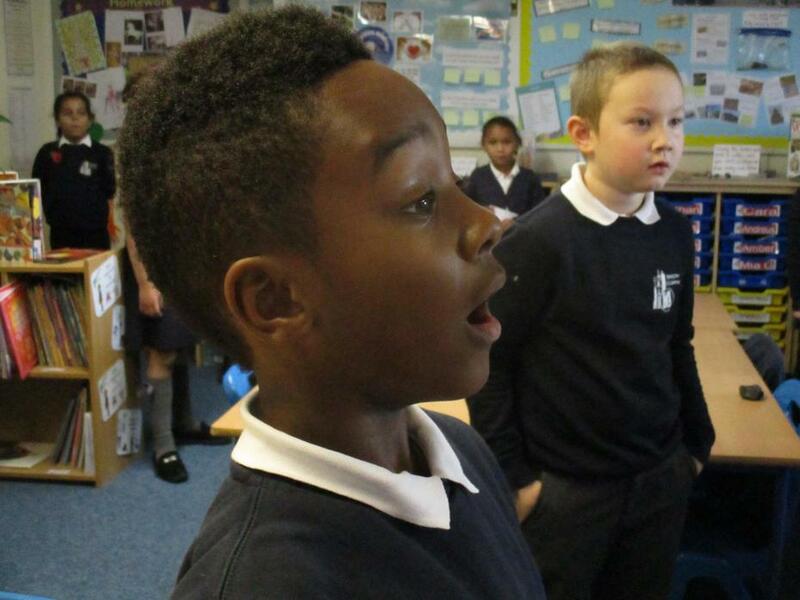 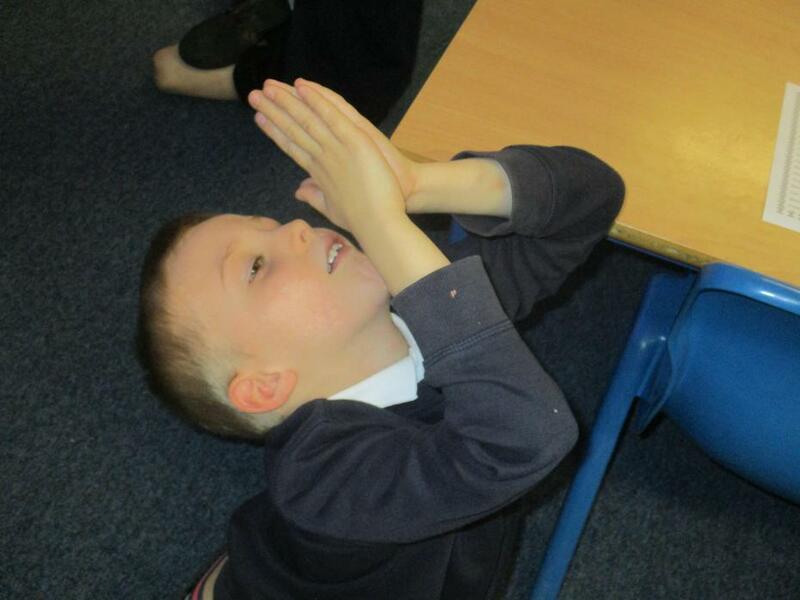 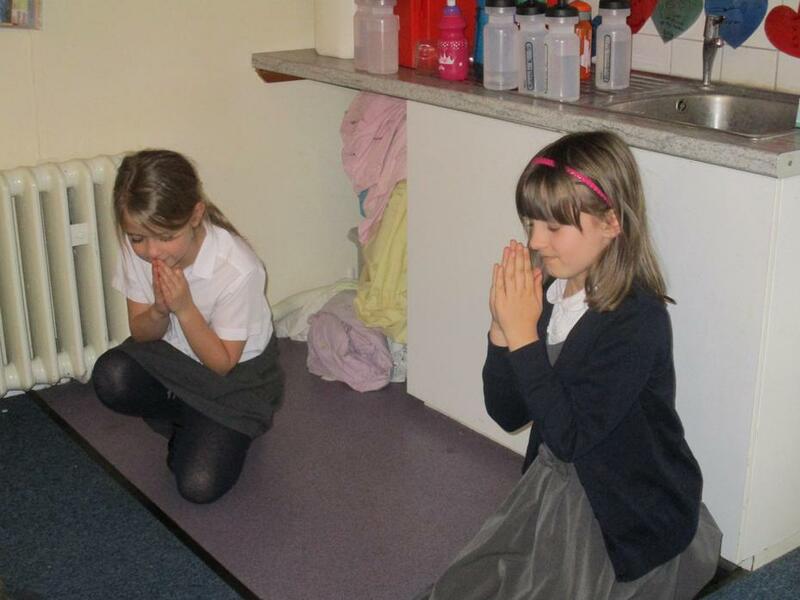 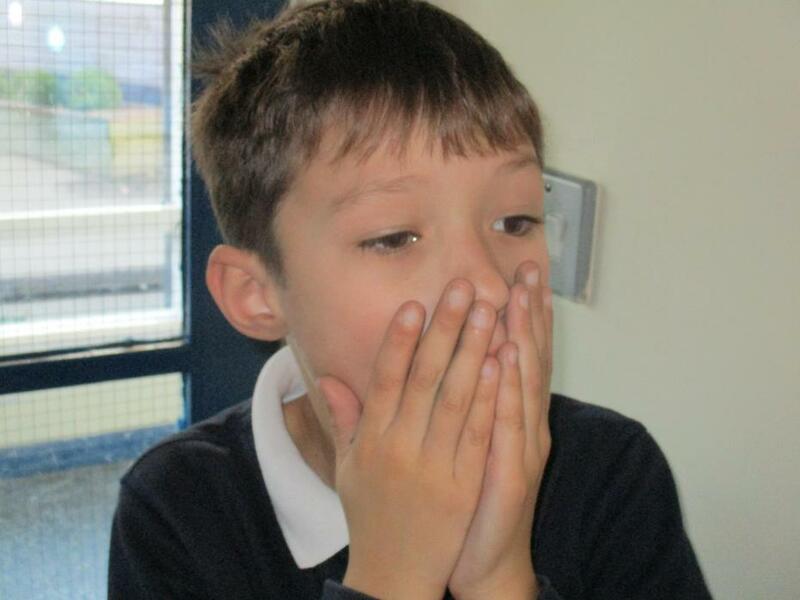 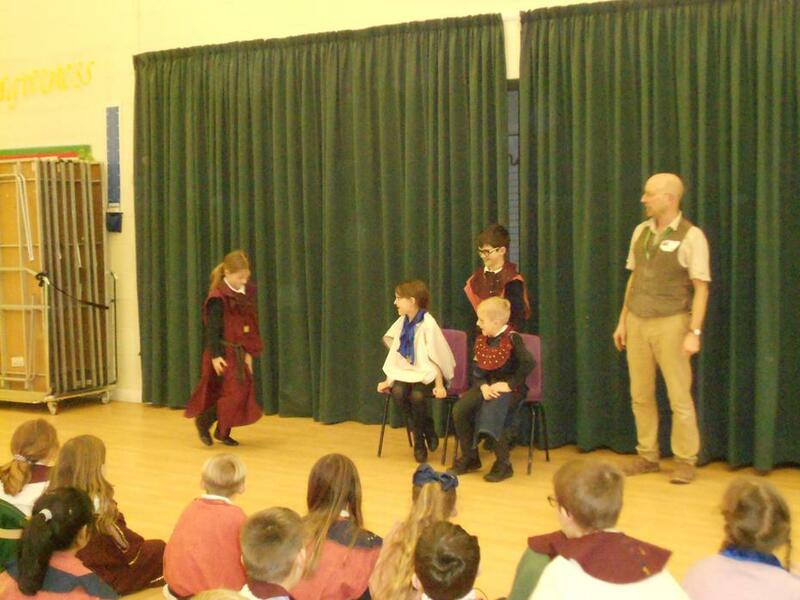 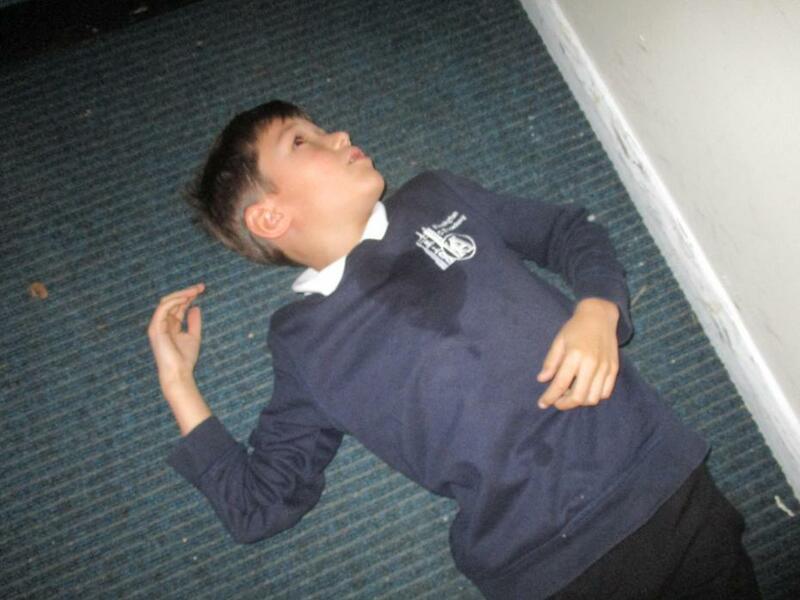 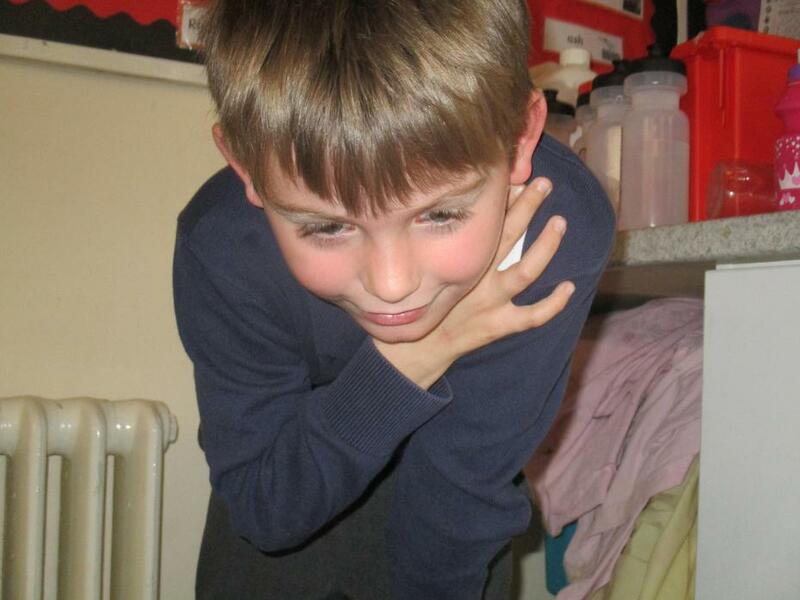 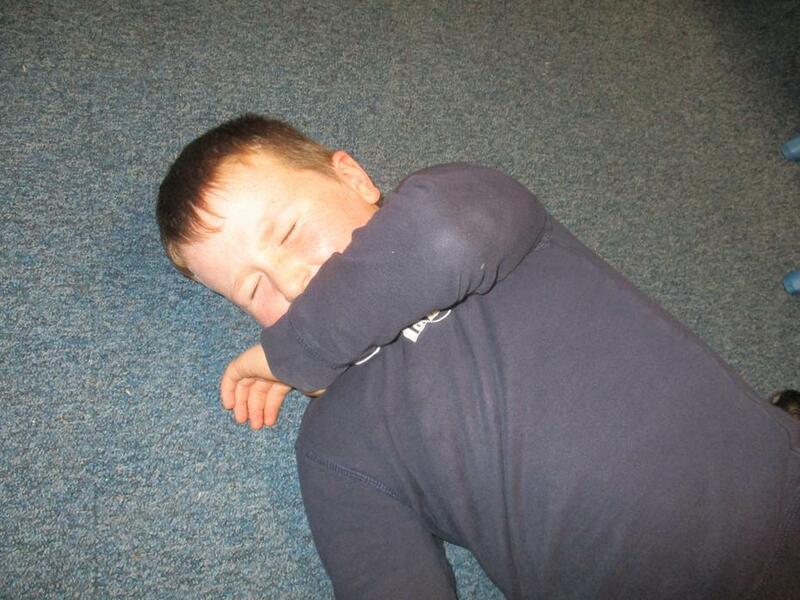 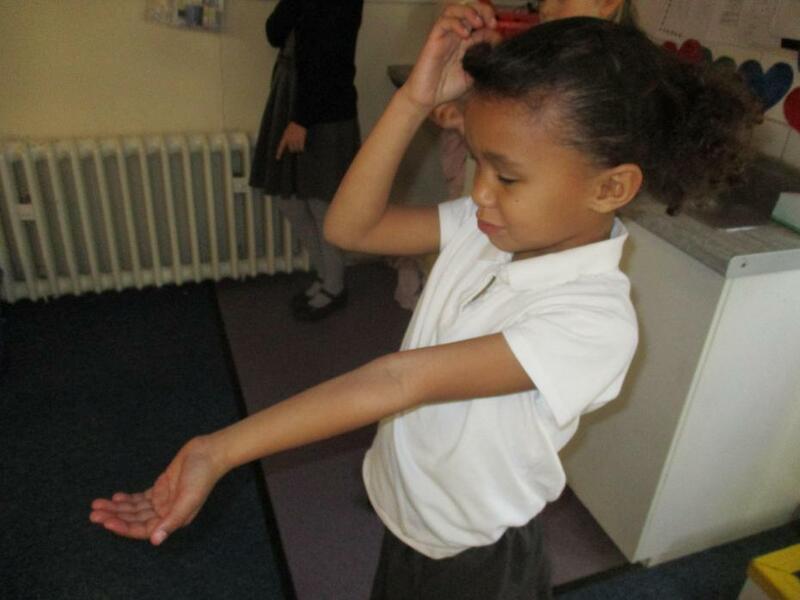 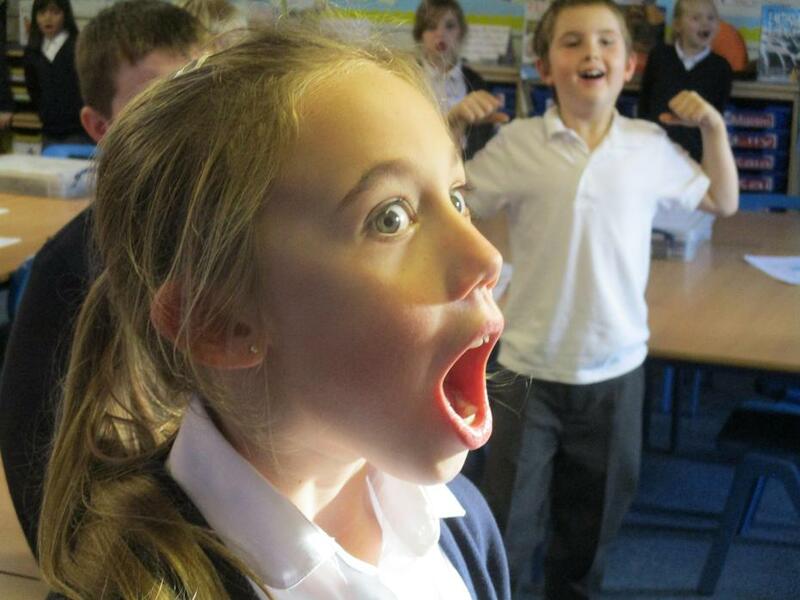 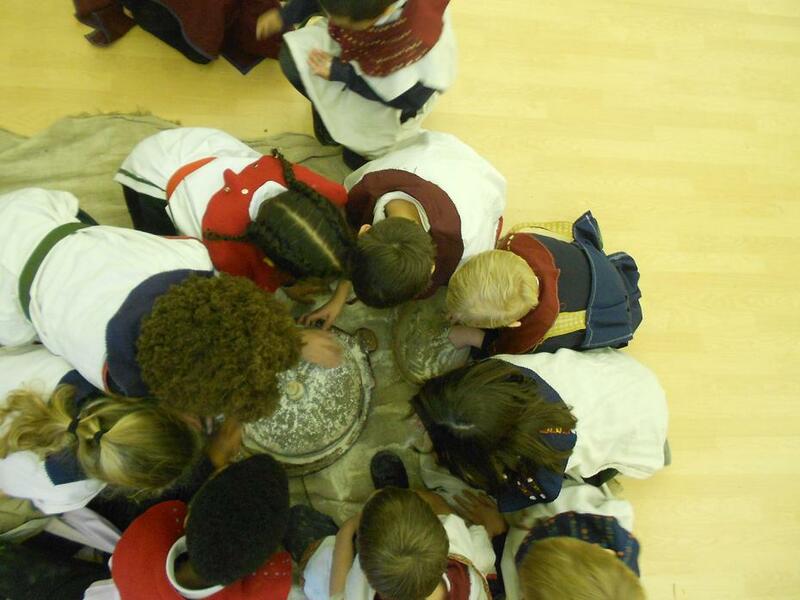 We acted out an Egyptian story and finally became archaeologists to discover tombs, we learnt about the curses that people thought we put on the tombs and what amazing treasures were discovered. 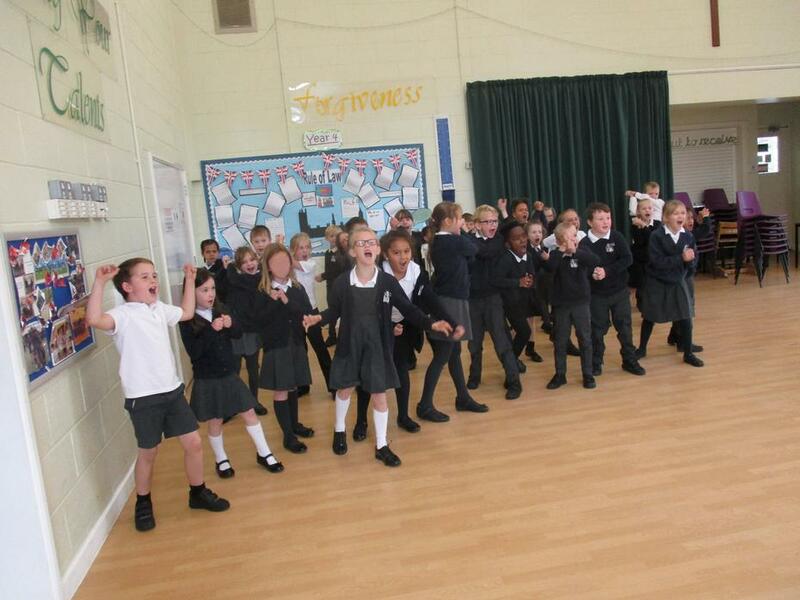 3 St Pauls class during Jeans for Genes day. 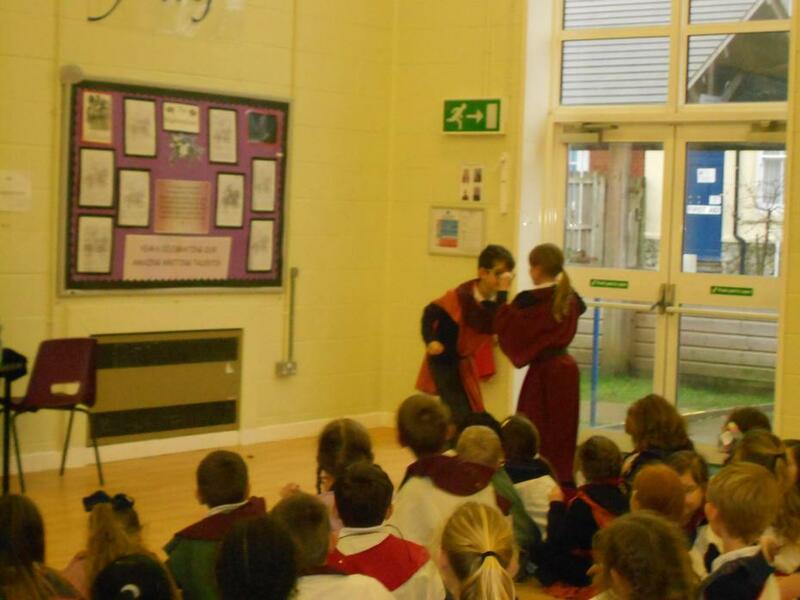 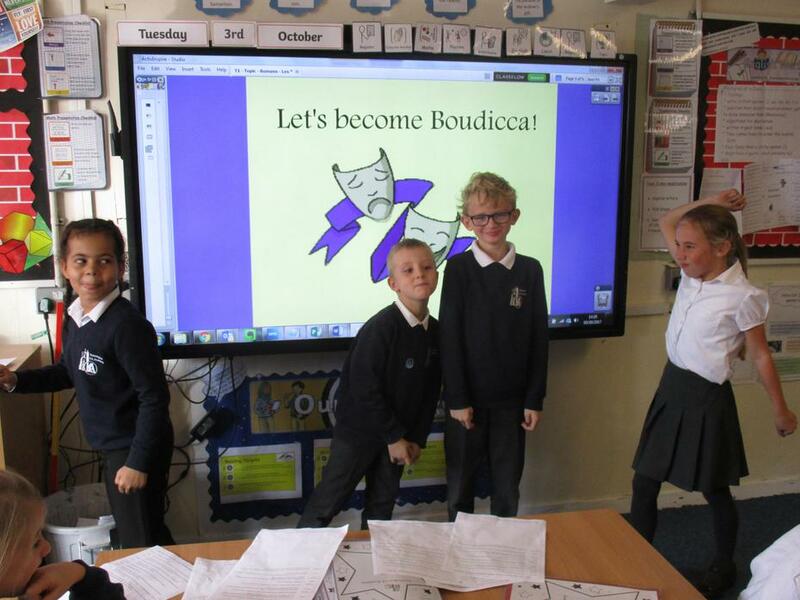 This week (WB 02-10-17) in Topic and English, 3 St Pauls have been learning about Boudicca's revolution against the Romans in preparation for an end of unit diary writing task. 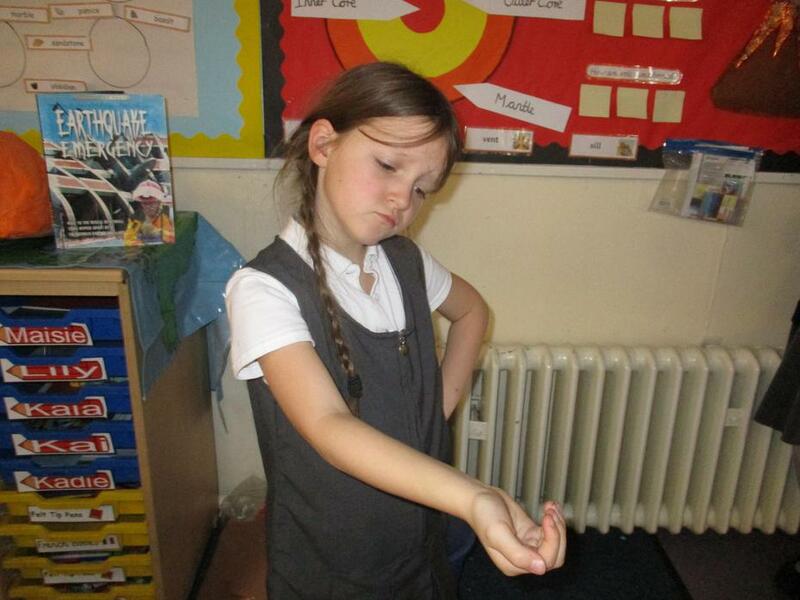 During No Pens Day on Wednesday (04-10-17), the children in Maths completed a range of activities to develop their number bonds.